Steven Moffat has suggested that Doctor Who was badly treated before its relaunch in 2005. The showrunner made the comments at the BAFTA screening of ‘The Pandorica Opens’, which airs tomorrow night on BBC One at 6.40pm. When it was noted that the show would not have had such a prestigious airing in the past, Moffat said: “And that’s shameful actually. It should have had that attention. There’s absolutely brilliant stuff. He then drew the audience’s attention to Waris Hussein, the director of the first ever Doctor Who episode ‘An Unearthly Child’, which aired on November 23, 1963. Asked what had changed to alter the perception of the show, he quipped: “All of us who grew up watching nothing but Doctor Who all day long took over television! The second part of the episode starts with the Doctor and Nasreen walking in the Silurian civilisation and they find themselves in a corridor covered with plants long thought extinct, and find an entrance. As soon as they walk through it, an alarm goes off and the pair are captured by the Silurian soldiers where they are taken to the same lab Amy and Mo are in. Amy is about to be dissected by the Silurian doctor Malohkeh, but he is called off moments before doing so by the alarm triggered by the Doctor and Nasreen. Amy pickpockets the Silurian doctor and steals the device to unlock her bonds. Amy escapes and frees Mo. As they walk around trying to find a way out, they stumble upon a chamber where the Silurians are keeping Elliot wired up. Mo is enraged and determines they need to find weapons to protect themselves and get his son out. They then find two cryo-chambers, each with a Silurian warrior inside, although they appear to be immobile. Amy deduces that they are hibernation pods, with each warrior standing on a transport disc that can take them to the surface. Since they don’t know how to work the transport discs, they take the hibernating Silurians’ weapons instead to have something to fight with while looking for another exit. In the church, while the group are awaiting the Doctor’s and Nasreen’s return, Ambrose notices her father’s injury from Alaya’s sting, so she goes to Alaya’s room and implores her to give her the cure. Alaya responds that she has no desire nor need to tell her. Angered, Ambrose picks up a stun gun to pretend to threaten Alaya. However, Alaya begins taunting her by asking her where her son is, and how she is too much of a coward to use the stun gun even to protect her family. Angered and worried about her family, Ambrose does stun her, at first lightly to get the information, but when Alaya still refuses, she shoves the stun gun into her stomach with greater strength, killing her. The others run in, shocked, for keeping Alaya alive was probably the only way to achieve a peaceful resolution. Meanwhile, the Silurians attempt to ‘decontaminate’ the Doctor for analysis. The Doctor, however, is unusually finding the decontamination painful, and yells out in between cringing at Malohkeh that he is not human. After Malohkeh checks and notices the Doctor’s two hearts, he turns the machine off and uses a rod similar to the Doctor’s sonic Screwdriver to wake up Nasreen. Another Silurian, Restac, Alaya’s sister and the Silurians’ military commander, enters, however, and is adamant that they be destroyed. She takes the Doctor and Nasreen to a conference room, which turns out to be the Silurian court, and informs them they will be executed. On the way, the Doctor explains some of the Silurians’ history: that they went into hibernation when their astronomers predicted a solar catastrophe approaching Earth. When the Silurians ask how he knows so much about them, the Doctor explains he has encountered their kind before. Initially delighted that others of their species survived, the Doctor angers them by explaining humans wiped out those who woke before. Restac views such an act as justification to destroy humanity. Just as Restac is about to fire, Amy and Mo arrive, armed with the Silurian guns. They are soon overwhelmed by the dozens of Silurian guards, however, and are about to be executed as well. 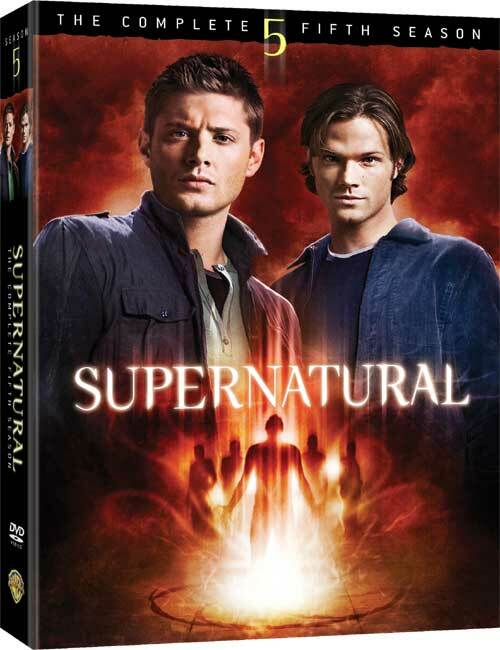 Back at the church, Rory and the gang have wrapped Alaya’s body in an orange afghan, when a screen on an unplugged computer turns on, revealing Restac who shows them the others as hostages. The Doctor reminds Rory that if they bring Alaya back, the Silurians will leave them alone, but Restac refuses and announces that the first to be executed will be Amy, aiming her gun as the screen switches off completely, leaving Rory in shock. Malohkeh attempts to reason with Restac as he believes that the Silurians and humans are compatible with each other and so war is unnecessary; however, she simply orders him to leave. Nevertheless, Amy manages to survive because Eldane, a Silurian above Restac in rank, arrives after being fetched by Malohkeh and orders for them to be untied. The Doctor proposes that the Silurians hold talks, with Amy and Nasreen as the human race’s representatives, to try to figure out a peaceful way for the Earth to be shared between the species. They are making progress, as Amy suggests that certain areas of the planet that are inhospitable to humans could work for the Silurians. In exchange, Eldane proposes that all Silurian technology can be used to both species’ benefit. As they have found common ground, Eldane is open to the idea of exchanging them for Alaya, so they open another communication link to Rory and the others in the church. They agree to bring them down to the Silurians’ habitat for the exchange, and it appears as if it will all work out. Meanwhile, Restac and a number of troops storm into Malohkeh’s lab and execute him for betraying her cause. After the communications link is closed, Ambrose, still distrustful of the Silurians and worried because Alaya is in fact dead, decides that before going down, they should set the drill to go off in 15 minutes and destroy all oxygen in the Silurians’ habitat. That Ambrose is 3v0l D: As the group arrive with Alaya’s corpse, Restac returns with many more warriors, who she has woken up from hibernation, intending to stage a coup. When she sees that Alaya, her sister, is dead, Restac loses control and orders her warriors to kill all the humans, starting with Ambrose. As the Silurians open fire, the Doctor deters them by breaking down their weapons with the sonic screwdriver, as all the humans and Eldane lock themselves in the lab. There, they realise that they have very little time before the drill impacts the surface of the Silurians’ habitat and they all die. The Doctor decides that they should use the Silurian technology to send an energy pulse through the tunnel network to destroy the drill before it demolishes the Silurian civilisation. However, doing so would cause an underground collapse, so they will need to escape before the drill is destroyed. They need to get from the lab to where the Doctor and Nasreen left the TARDIS, but the Silurian army is blocking the way. Eldane tells them that he can stall the army by activating ‘toxic fumigation’; a safety system that warns everyone to return to hibernation before a toxic gas is released, for only those stubborn and violent enough to follow Restac will die. The Doctor approaches Eldane and promises that in a thousand years, the Silurians and humans should attempt living together once again, for he will ensure that the humans are the best they can be by then. He approaches Elliot and asks him to create a myth, story or religion that can inform all coming human generations of the Silurians and how they can cohabitate peacefully one day in order to promote this plan. Ambrose, Mo and Elliot quickly get onto the TARDIS, but before Amy, Rory and the Doctor go in, they all notice a crack in the wall, just like that in Amy’s bedroom as a child. The Doctor surmised that the cracks in the universe must have been formed by an explosion and insists on reaching into the other side to see what it holds, because explosions often leave shrapnel. He takes something out and looks wraps it in a towel. Just as Rory, Amy and the Doctor are about to finally go into the TARDIS and take off to safety, Restac, dying due to exposure to the toxic gas, appears and shoots at the Doctor. Rory pushes him out of the way and takes the blast AND THEN DIES WTF! I was sure Rory was staying as a companion T_T I liked Rory, I loved the character. And THAT’s why it took me so long for a recap. I was in denial :s And he dies in Amy’s arms too 😦 confused because they had seen a future version of themselves across the hill from where they ‘parked’ the TARDIS in the beginning. The energy from the crack in the wall soon begins to absorb Rory, and the Doctor recalls what he said to Amy in the forest at the ‘Byzantium’: that if the time energy catches up to you, all evidence of your life is erased, as if you had never been born. Since the drill is moments away from killing them, the Doctor forces a sobbing Amy away from Rory’s lifeless body, locks her in the TARDIS and takes off, watching Rory’s body dissipate into the crack. However, Amy implores the Doctor not to let her forget Rory, so he prompts her to clutch onto all the memories of him so that he can live on in her mind. Unlike with the Byzantium and the Weeping Angels, Amy will not remember Rory just because she is a time traveller, as he is part of her own personal history. For a moment, it looks as if Amy remembers. 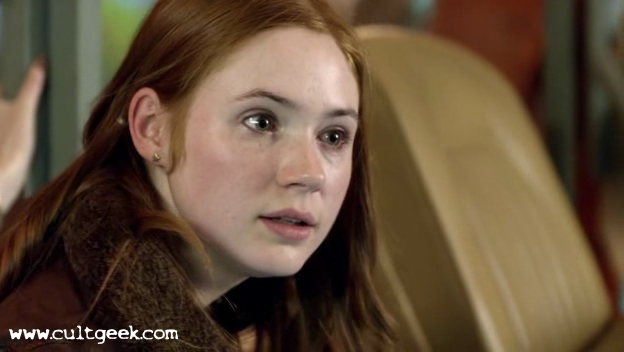 However, the TARDIS jolts, causing Amy to lose her focus, and she is not able to hold onto memories of Rory. The Doctor finds Amy’s engagement ring on the floor of the TARDIS. They arrive at the surface just as the drill explodes. Ambrose thanks the Doctor, since he could have let the Silurians kill her for killing Alaya. The Doctor responds that an eye for an eye is no way to live, and that she should seek some sort of repentance by making sure that her son really is the best humanity can be, in preparation for when the Silurians end their hibernation in a thousand years. Amy and the Doctor return to the TARDIS to leave, and they spot someone across the hill again, except this time, it is only ‘future Amy’, and no Rory. Amy does remark that for a second she thought she saw someone else as well, but lets go of the thought. On her way back into the TARDIS, Amy makes a remark to the Doctor and uses the term “you boys”.